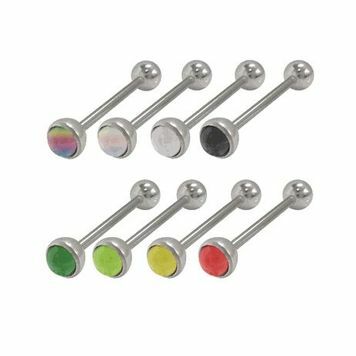 This is a beautiful straight barbell tongue ring for your tongue piercing with a 316L high grade surgical steel shaft and ultra violet acrylic replacement Beads with a surgical steel setting available in your choice of multi, opal, clear, black, dark green, light green, yellow, red, dark blue light blue, orange, pink or purple. The size is available in 14 gauge and your choice of 15mm-5/8 or 18mm-3/4. 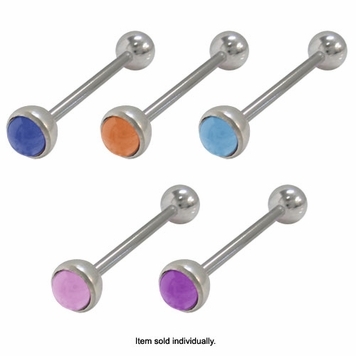 Entire piece is nickel free.